Have you already figured out what to wear on Valentine’s day? 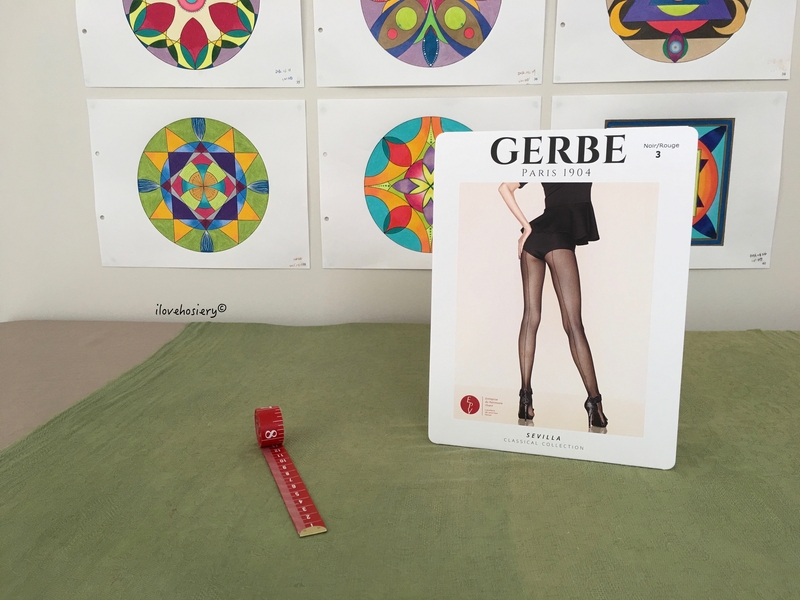 If not, why not check this one out – a fishnet tights with red back seam by Gerbe. ⊕ Legs look slimmer because the size of micro mesh is uniform throughout. ⊕ Fishnet tights with reflective sheen. ⊗ The tights are not stretchy and back seam lacks elasticity. 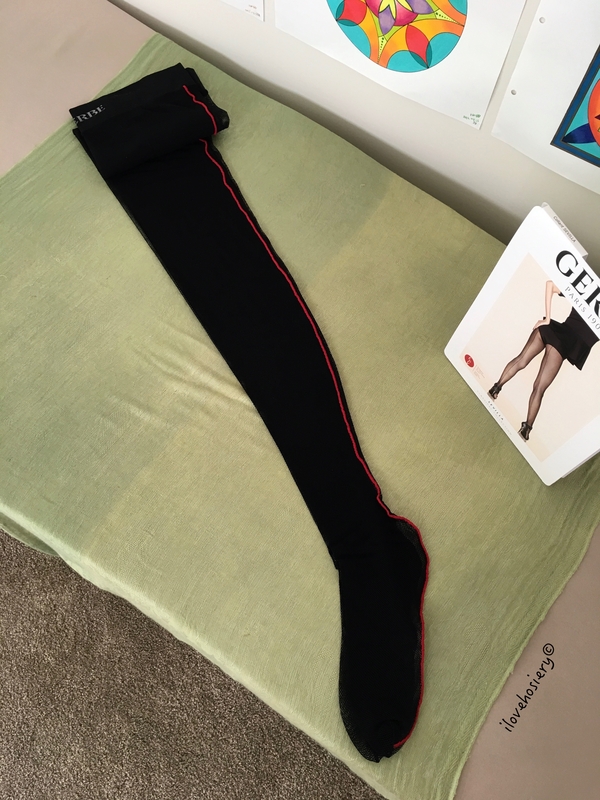 The packaging is more or less the same as other Gerbe tights I reviewed before. However, the appearance has changed drastically since. The front cover now shows a model wearing the style bordered by a white frame. The brand is printed on the top of the cover and the name of style at the bottom. The rear cover has basic information about the style as well as an introduction about Gerbe. Personally I prefer the new design, as it give a clean, modern, bright look. The cardboards have a clean cut, leaving no debris or rough edges like I experienced last time. The product description online and on the packaging are the same and very short: “Fine cut and sewn fishnet tights”. The Sevilla is one of the timeless patterned hosiery which Gerbe named as Classical Collection. It is fishnet tights in micro mesh fashion. The diameter of the diamond-shaped opening is 1.5mm wide when lay flat. If you look closely, you will notice that the point of intersection is made of a circle. The appearance is matte with a reflective sheen. The back seam is 1mm thick, and runs from the tip of the toe to the waistband. The texture of the tights is moderately smooth and somewhat synthetic. The waistband measures 4cm wide. There is a gusset and the toes are not reinforced. The composition is 89% polyamide, 10% elastane and 1% silk. Gerbe uses numbers to represent different sizes. There are 4 sizes available for this style. I have included the chart below. Size 3 is used in this review. At the time of writing this review, there are five colours available: Camel, Noir/Rouge, Rouge, Bleu Nuit and Noir. I have bought Noir/Rouge for this review. 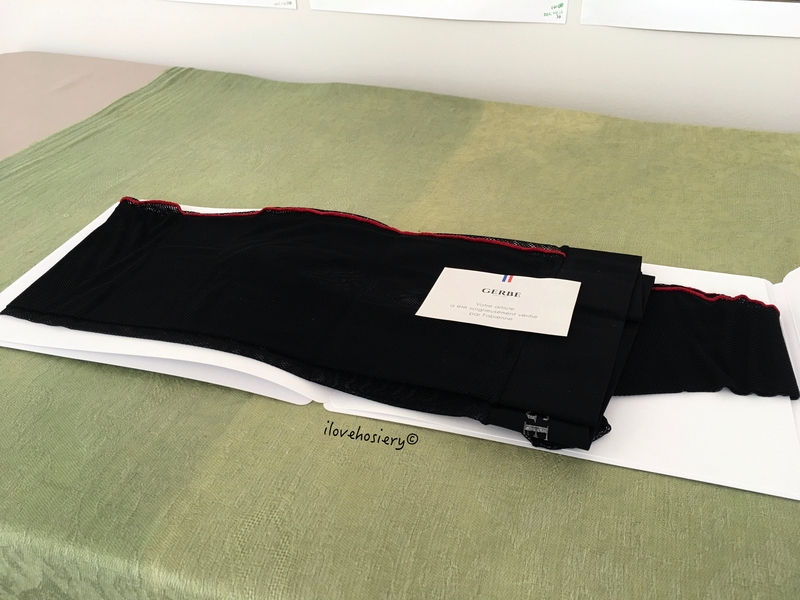 It has a black foundation with a red back seam. The fit was good. I do not think it will fit up to 178cm as the size chart suggests. This is because the hose was not particularly stretchy or lengthy. 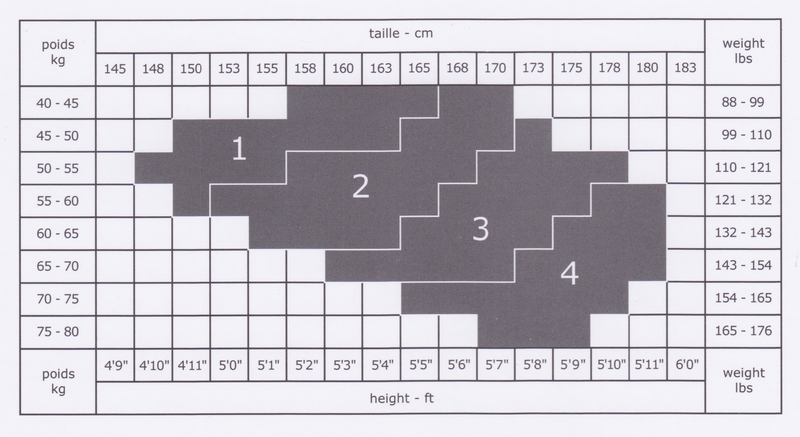 I would suggest go up to size 4 if your are 175cm and above. Likewise, the envelopment was moderate; the tights gently hug the legs. Despite the waistband being 4cm wide, it rolled down quite often. Guess I need to do more exercises to get rid of the fat around the waist. The appearance was awesome. I really liked the black/red contrast, which I found very attractive. The knitting was ingeniously done that the micro mesh were uniform from thigh to feet. In another words, they were not enlarged at the thigh. This gave a slimmer look to the legs. It is also worth mentioning that it comes in reflective sheen. This is the first pair of fishnet tights I have come across that has such feature. The reflective sheen adds glamour when being exposed to direct light. Since the back seam lacked elasticity, it twisted whenever I bend the knees and formed wrinkles as a result. The latter fade away when I stood upright again. The toe seam was too short to run along all my toes. Thankfully, it is not a reinforced toe, hence did not affect the appearance or squeeze the toes. The texture was moderately smooth and soft. I didn’t feel itchy at all, as some fishnet tights do. The back seam is thick enough to be felt, especially when stepping on hard surface. The breathability was of course very good. Sevilla has reflective sheen, though hard to demonstrate with the tools I currently have. I find the Sevilla eye-catching with its distinctive red back seam. The reflective sheen is something I have not seen before and a great bonus. I can imagine dancers on stage being the centre of focus with these tights on. Or better, the temptation and satisfication from love ones. One drawback is that the tights is not particularly stretchy. Hence better to double check the size to ensure an optimal look. The Sevilla fishnet tights are available throughout the year. It is priced €35 or around £32.